I mentioned previously that I was going try my hand at making a pair of bead woven earrings, well instead of making one pair, I made two pairs of earrings. The first pair was made with 6mm gold glass pearl beads and also green and clear seed beeds. I used a nylon thread to sew the beads into this bead wreath pattern. 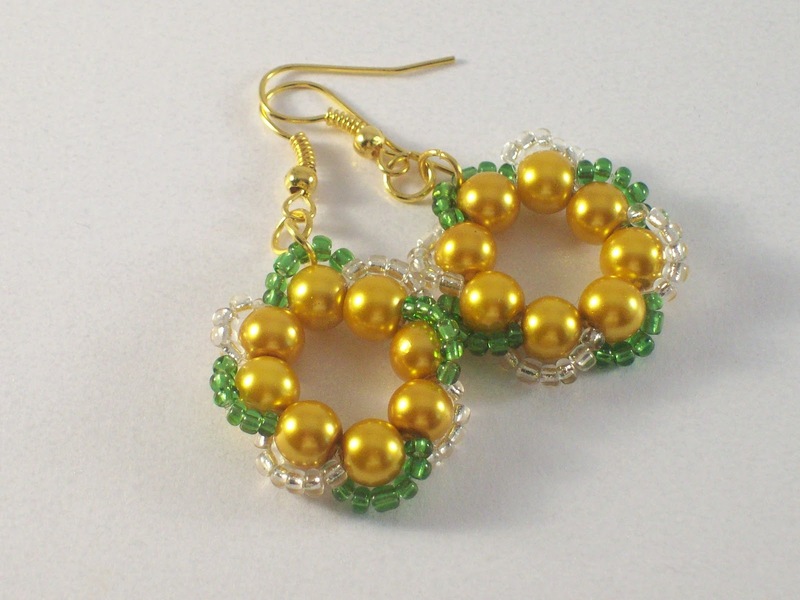 I made the second pair of earrings below, using what is called the right angle weave beading technique, as the beads lie at a right angle to each other. 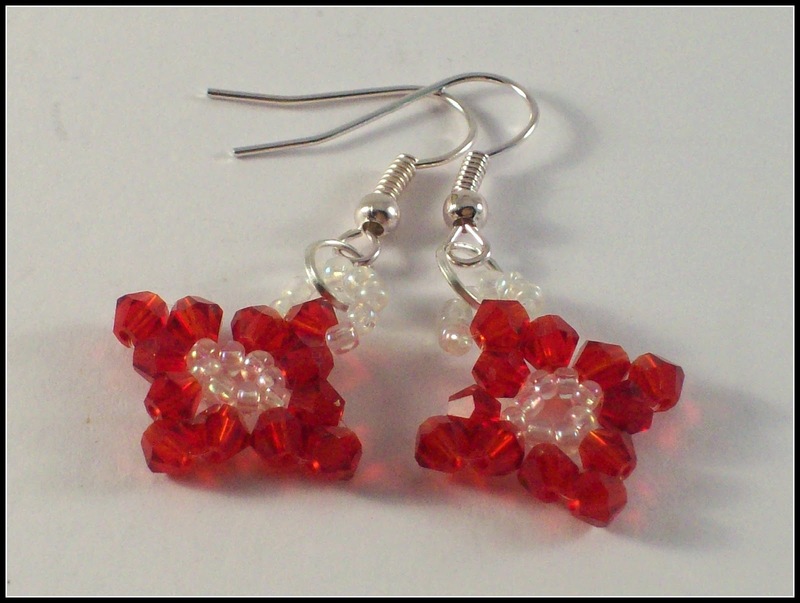 I used 4mm Swarovski Red Siam bicone beads and clear seed beads, again I used a nylon thread. Once I made one earring, the next one was fairly easy to make. Both of these earrings were not as hard to make as I thought they would be. I will be attemping to try other designs, as I've really enjoyed making these and bead woven jewellery, is something I'd like to continue making in the future. Beautiful and although you said they weren't hard to make, they look really difficult to me! !